Ed Helms has kept himself busy since landing a job in 2002 as a correspondent on "The Daily Show." But his career bounced to a whole new level with his role in the 2009 surprise hit comedy "The Hangover," and he's been steadily doing films ever since, while still holding down a day job as the hyper-chipper Andy Bernard on "The Office." Next up for Helms is "The Lorax," the 3D animated adaptation of Dr. Seuss' brilliant cautionary tale about the environment. In it, Helms lends his voice to The Once-ler, an inventor who wipes out an entire ecosystem in pursuit of his dreams. Were you a fan of "The Lorax" growing up? I was, thanks to my parents. They're really the ones who decide for you that you're going to be a Dr. Seuss fan. 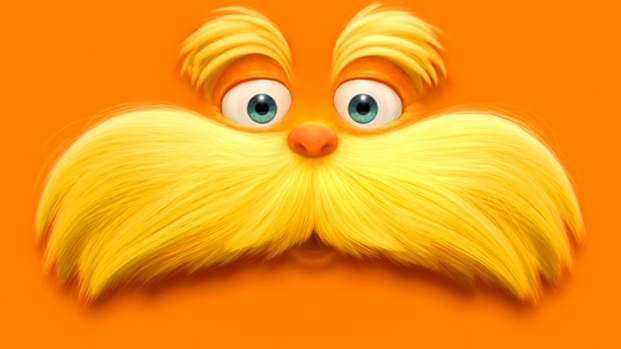 In fact, I loved ["The Lorax"] so much that when I heard this film was being made I reached out to Illumination [the studio behind the film] and told them I wanted a part. I didn't care how big or small it was, I just wanted to be a part of it. Zac Efron, Taylor Swift and Danny DeVito lend their voices to this animated adaptation of Dr. Seuss' brilliant cautionary tale about the search for the last living tree. Opens March 2. Am I, though? I think the Once-ler is really just like any of us. He's got a dream, and he goes after it and maybe he loses sight of what's important. But he's not a bad guy, necessarily. I think [director] Chris Renaud did a nice job of making him more than just a villain, he also represents a warning about how we can maybe overreach and suffer a fall from grace. That's part of the genius of this telling of the story—the book is what, 20 pages long?When you make a book like this into a feature, you really have to stretch it out, which can give you the opportunity to maybe explore facets of the characters that Seuss didn’t stress. What's the name The Once-ler about? At the Hollywood premiere of "Dr. Seuss' The Lorax," castmembers Taylor Swift, Zac Efron, Ed Helms and Danny DeVito chat about the film and share their childhood memories of beloved Dr. Seuss stories. "Dr. Seuss' The Lorax" opens nationwide on March 2. For me, it's evocative of a wistfulness on Seuss' part for a time gone by—"Once upon a time"—a time when maybe things were a little better than they are right now. Why does The Once-ler stay in his tower? He's a broken man. Do you remember the name of his house from the book?--I'm not sure we even used it in the film--The Lurkem. How cool is that? But I think for The Once-ler, The Lurkem is sort of his form of self-banishment, a prison. What was the biggest challenge for you in developing this character? Fortunately I'd done a lot of voice work when I was starting out—it's actually what allowed me to not make any money doing stand-up. But doing voices for an animated feature is very different. A lot of times these film get cast with movie stars, and I think it's to the movies' detriment, because movie stars are accustomed to just using their normal voice. But for this movie, I created a voice for The Once-ler and had to play him at three different stages. And I had to sing, both as the young, naive Once-ler, and as the industrialist Once-ler. Fortunately, I didn't have to sing as the weird old hermit Once-ler—don’t think that would've worked so well. 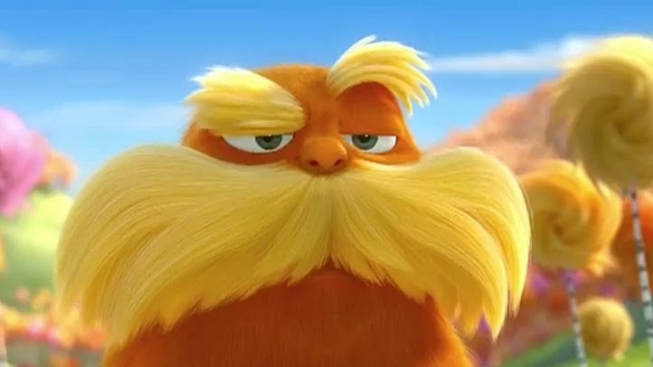 "The Lorax," which also features the voices of Danny DeVito, Zac Efron and Taylor Swift, opens March 2.